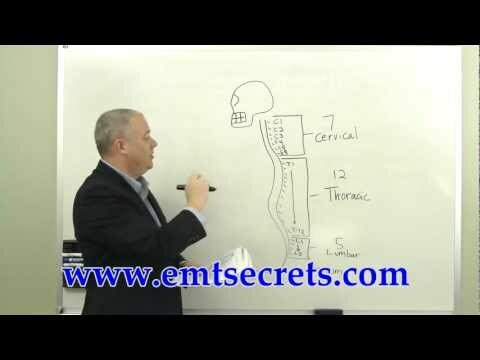 Candidates are allowed to attempt this examination three times. If after three attempts a candidate is still unsuccessful, the candidate will have to provide records regarding having taken 36 hours of remedial education before being allowed to try again up to three more times. If a candidate is unsuccessful after six tries, the candidate must complete an entire state-approved EMT-Intermediate/99 program. 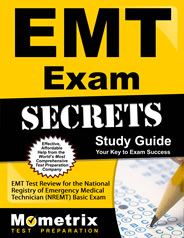 After a candidate passes the exam, he or she will receive information about national EMS certification. If a candidate does not pass, an account of which categories were near or below the requirements for passing will be provided. If a candidate fails five or fewer of the eleven skills tested, the candidate may take the sections on just the skills failed up to two times. If there is an opportunity to take a test again on the same day, the candidate may take just one that day. Testing again is finished with a method of all or none. Candidates cannot take just some of the skills that need to be tested again. If the test is failed a second time, candidates will then need to take remedial education on the skills that were a problem, and then take all eleven skills over again. If candidates fail six or more during the attempt, the candidates will need to take remedial training. 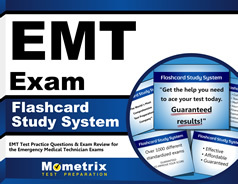 If the test is failed three times, documentation of taking the EMT-Intermediate/99 education program again must be provided before a candidate can re-take the exam. Which of the following may be administered to a newborn with hypoglycemia and altered consciousness? Which of the following statements regarding Braxton-Hicks contractions is FALSE? In which of the following cases is NTG contraindicated? B: Only 10% dextrose and water can be safely given to a newborn infant with hypoglycemia and altered consciousness; hyperosmotic agents such as 25% dextrose and water or 50% dextrose and water may cause hemorrhage. Ringer’s lactate is used in the treatment of hypovolemia. C: Some commonly prescribed drugs can produce a reaction similar to that of the drug disulfiram (Antabuse), used in patients with chronic alcohol abuse, following alcohol ingestion; these drugs include metronidazole, antibiotics, and oral diabetic medications. A: Diazepam is indicated for acute anxiety as well as tonic clonic (grand mal) seizures, particularly status epilepticus; glucagon is indicated for hypoglycemia and epinephrine for cardiac arrest. Ipratropium is indicated for reversible airway obstruction due to chronic obstructive pulmonary disease (COPD). C: Children and geriatric patients have an increased sensitivity to vasopressin; thus, vasopressin is contraindicated in these patients. Vasopressin is indicated as an alternative to the first or second dose of epinephrine for the treatment of shock-refractory ventricular fibrillation (VF), asystole, or pulseless electrical activity (PEA). D: Braxton-Hicks contractions or irregular contractions are common during the third trimester and are generally painless; these contractions may be relieved by walking. These types of contractions are benign and are not indicative of uterine rupture. C: Nitroglycerin (NTG) is contraindicated in patients with systolic BP less than 100 mm Hg, patients with head injury, and infants and children; typically, the EMT-I can assist a patient with a prescription for NTG and a systolic BP greater than 100 mm Hg in administering a sublingual tablet or spray. NTG administration may be associated with headache; however, headache is not a contraindication for use of NTG. A: Acute MI often presents as epigastric pain; some patients, particularly the elderly, complain of indigestion rather than chest pain. B: Kussmaul breathing, or deep, rapid respirations, is indicative of metabolic acidosis, a condition in which bicarbonate levels are low in relation to carbonic acid levels. In metabolic alkalosis, bicarbonate levels are higher than carbonic acid levels; symptoms include slow, shallow respirations. Respiratory acidosis occurs when exhalation of carbon dioxide is inhibited, and respiratory alkalosis occurs when carbon dioxide exhalation is excessive. C: The parasympathetic nervous system controls intestinal activity, respiratory rate, and pupillary response; examples of a parasympathetic response include abdominal distress and nausea and vomiting. The sympathetic nervous system controls the fight or flight response and causes constriction of blood vessels and elevation of heart rate and blood pressure; sympathetic responses include nervousness and tachycardia. C: Sympathetic agonists affect the alpha- and beta-adrenergic receptors; the asthma drugs albuterol and metaproterenol are known as beta-2 agonists. Propranolol is a common beta blocker. Acetylcholine affects the parasympathetic division but cannot be given as a drug because it is broken down by cholinesterase in the blood and synapses before it can reach the receptors; atropine is an acetylcholine antagonist.